Stop in and check out our Spring Book Sale. Hundreds of books, CD’s, audio books, and more available for a free will donation. All proceeds will be used to purchase new material for your library! The date for the 2019 City Wide Garage Sales will be May 4th. To be officially registered and put on the map, you need to stop by the library to sign up and pay $10. Please call 796-1521 if you have any questions! 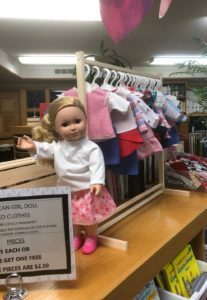 A very generous local patron has been making American Girl sized doll clothes for us. We will be using 100 % of the money raised to buy new bookshelves for the upcoming Children’s Room. 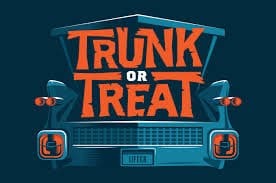 The library will be hosting it’s 3rd Annual Trunk-or-Treat on Halloween morning from 9-11am. This is a great opportunity for community children to trick-or-treat in a safe, non-scary environment. If you would like to sponsor a booth or have any questions, please call 796-1521! 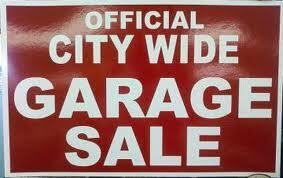 The official date for the Colwich city wide garage sales is May 5th. Come to the library to register your sale, be put on the map, and get a sign for your yard. Cost is $10. If you have any questions, please call 796-1521. Thanks! We have a special opportunity to learn about Christmas in another culture. 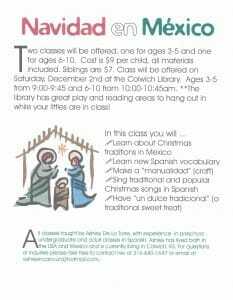 Ashley De La Torre will be teaching a class called Navidad en Mexico on Saturday, December 2nd at the library. Ages 3-5 are from 9-9:45 am and ages 6-10 will be 10-10:45 am. If you have any questions, please call Ashley at 316-640-1647! Thanks! Guess who’s coming to the library. IT’S SANTA!!!!! 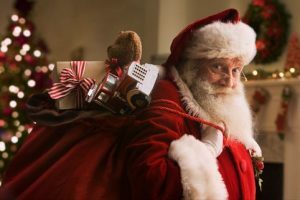 The jolly old elf will be here on December 7th from 6-8 pm. We will have snacks, Christmas crafts, and a Giving Christmas Tree. A Giving Christmas Tree is a great way to teach your family about charity during this holiday of giving. Bring in your donations and put them under the tree for a child in need. All donations will be given to the Wichita Children’s Home. We will accept any new items from toys, baby supplies, clothes and coats for all ages. 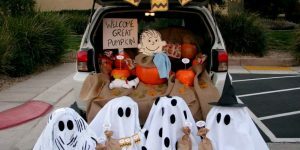 THE COLWICH COMMUNITY LIBRARY IS HOSTING IT’S SECOND ANNUAL TRUNK-OR-TREAT ON OCTOBER 31ST FROM 9-11 AM ! THE LIBRARY WILL BE CLOSED ALL DAY AND EVENING FOR THIS EVENT! 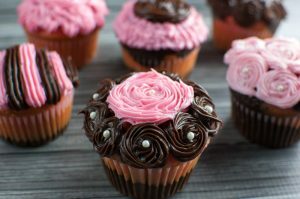 WHAT: HELP US RAISE MONEY FOR THE COLWICH ELEMENTARY LIBRARY BY BAKING A DOZEN CUPCAKES. ENTRIES WILL BE JUDGED ON LOOKS AND TASTE. FABULOUS PRIZES FOR 1ST AND 2ND PLACE! ALL CUPCAKES WILL BE USED IN CAKE WALK AT 2 PM. ENTRY IS FREE! FREE WILL DONATION TO VOTE AND PARTICIPATE IN CAKE WALK. Here are some upcoming events to put on your calendar! September 30- Cake Decorating and over sized games in the REC at Heritage Fest. October 31- Library will be closed but we are hosting Trick-or-Treat Street again!